We all love a breakfast treat at the weekend – usually baked goods of one sort or another. The ultimate are homemade croissants, but while lavishing that much love on some dough is fun every now and then, most of the time it takes too much time and planning for a relaxing weekend morning. 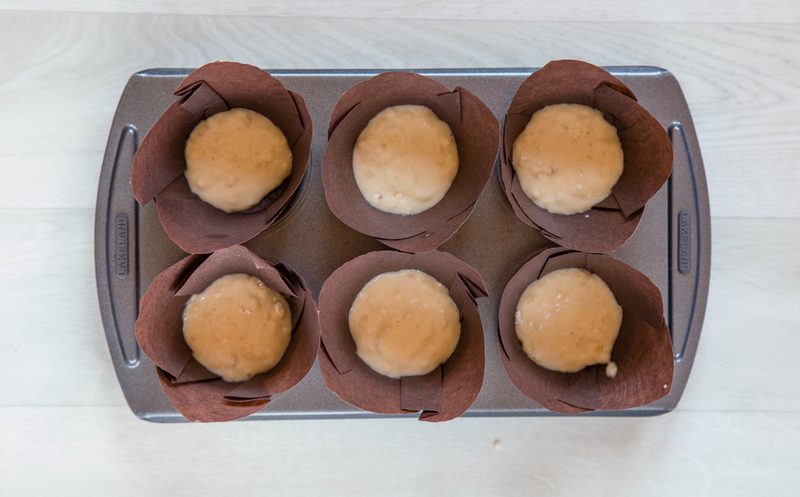 When we just want to flop about, drink coffee and read the papers, a freshly baked breakfast muffin is our staple treat. 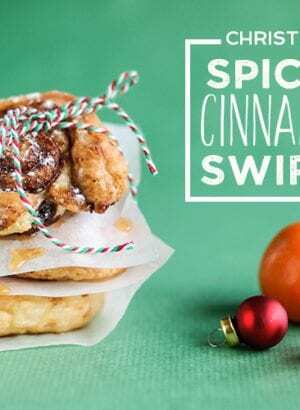 These healthy breakfast muffins are really very quick and easy to make, especially as one of the real secrets to light and fluffy muffins is not to mix the batter too much: just barely bring it all together before transferring to the muffin tin or cases. 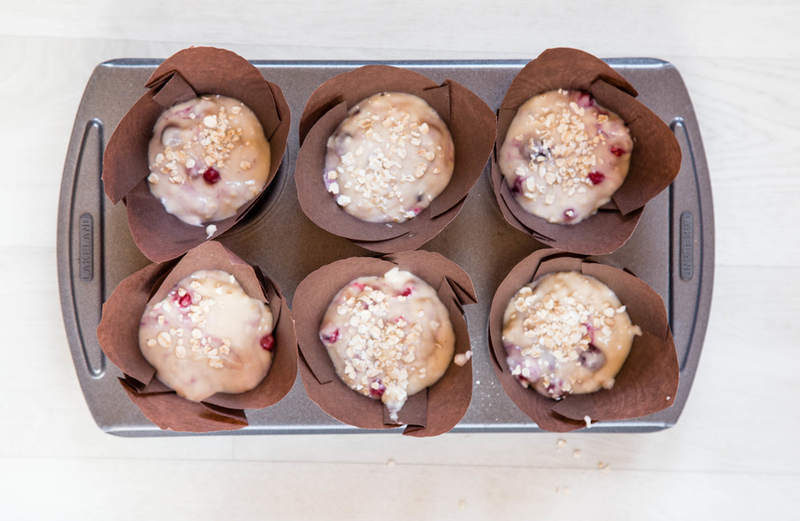 These are healthier than most muffins because we’ve added oats to the mix, and they’re packed with fruit. 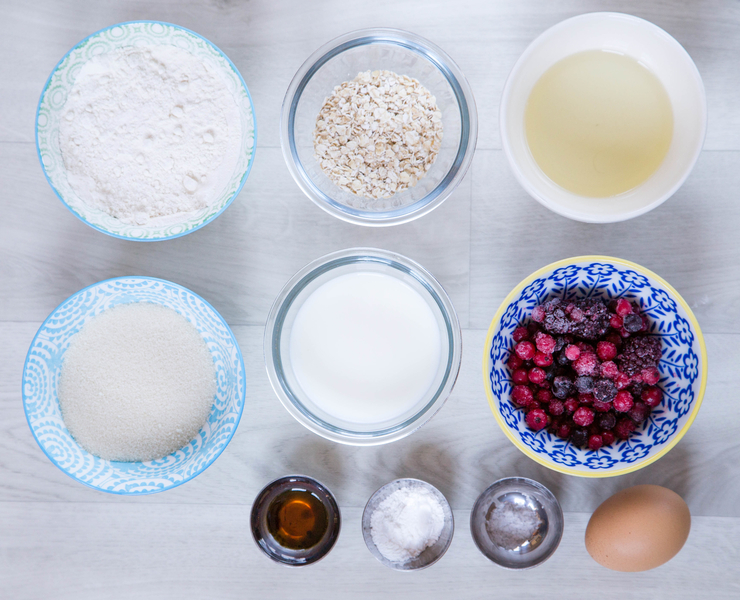 And being so simple to make, these healthy muffins can also be made by the kids. 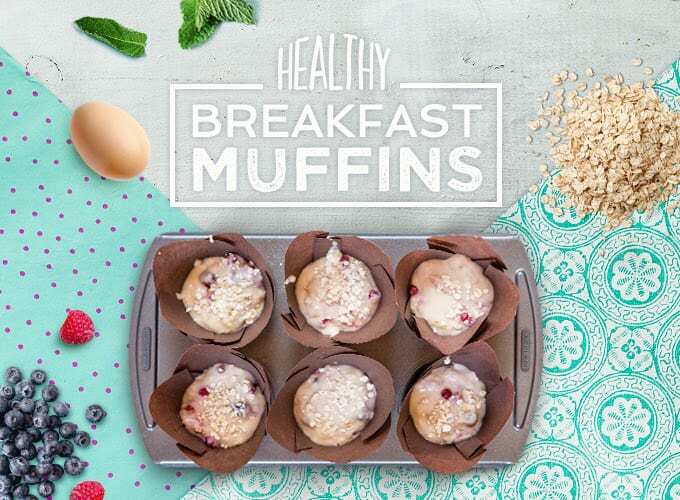 So next weekend, why not put your feet up with a newspaper, a jug of coffee and a plate of these delicious, healthy breakfast muffins. 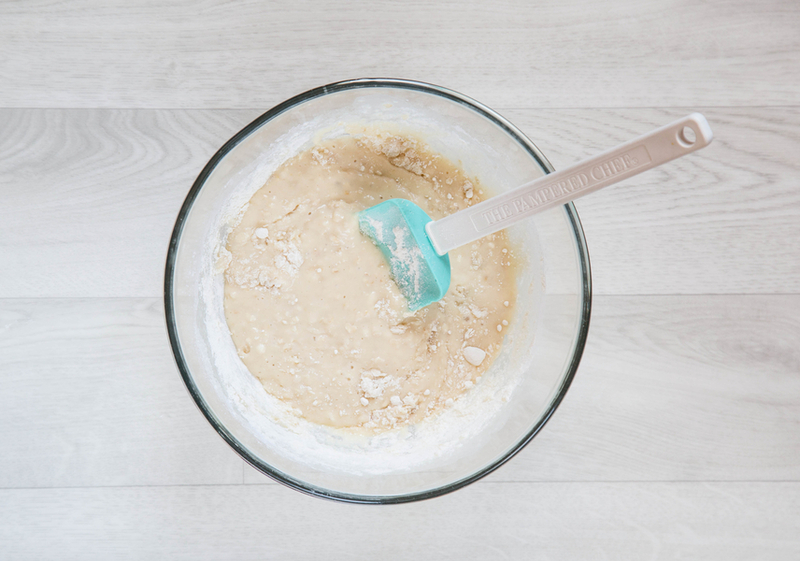 The easiest way to stop the fruit sinking to the bottom of the mix is to put a dollop of batter into each of the muffin cases, then stir the fruit into the remainder. 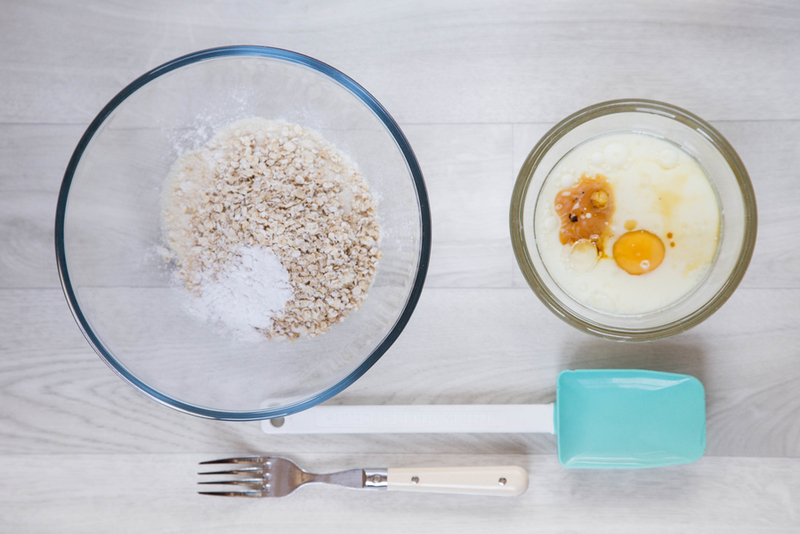 To save time in the morning, weigh out both the wet and dry ingredients, leaving the wet in the fridge overnight. 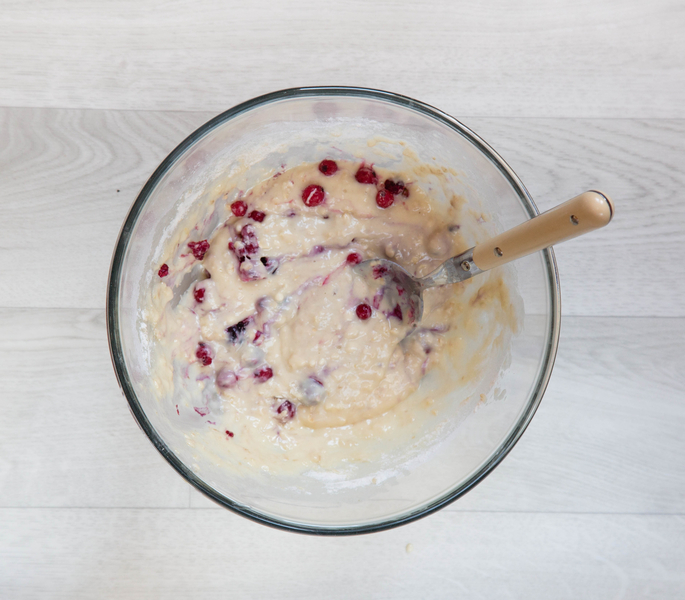 What do you think of our super easy, healthy muffins? 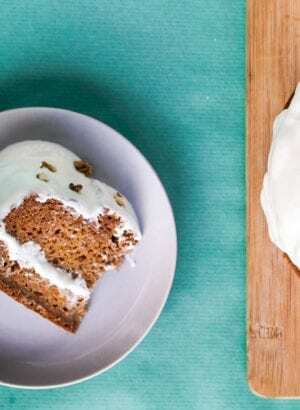 Do you have a cooking trick or secret recipe for amazing muffins and cupcakes? Let us know in the comments below! If you’re still feeling peckish, be sure to check out our quick and tasty recipes for Super Easy Banana Bread, Quick & Easy Flapjacks, or delicious Butterscotch Chocolate Blondies. Helen Best-Shaw is a freelance food writer and recipe developer based in West London. 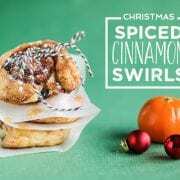 Her popular blog, Fuss Free Flavours, shares simple recipes for delicious food that you want to eat, but that’s also achievable and affordable.